UP Chief Minister Yogi Adityanath said government is serious towards the development and progress of Dalits. 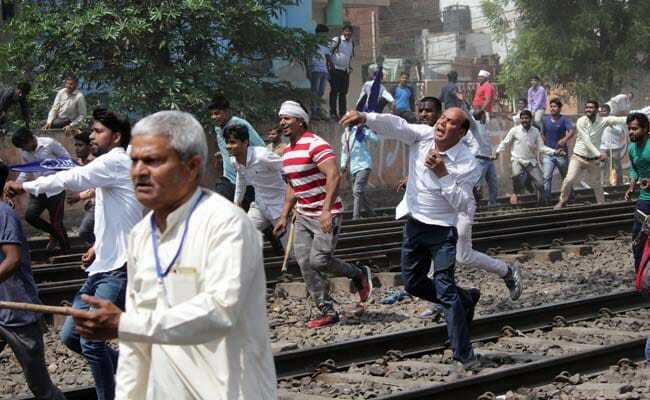 There are reports of the violence in some western UP districts during the protests by Dalits. Lucknow: Amid the reports of violence in parts of western Uttar Pradesh during the Bharat Bandh today to protest against the perceived dilution of a Dalit protection law by a top court order, Chief Minister Yogi Adityanath has appealed to the people not to vitiate the law and order. "The law and order should not be disturbed by these protests. The government is serious towards the development and progress of dalits. I appeal to them not to disturb the law and order," Yogi Adityanath said. "Both the Centre and the state government are dedicated to the welfare of the backward castes, the scheduled castes and the scheduled tribes. If there is any issue, one can bring them to the notice of the government," he said. The Supreme Court on March 20 had banned automatic arrests and registration of criminal cases under the Scheduled Castes (SC) and the Scheduled Tribes (ST) (Prevention of Atrocities) Act, 1989, a legislation meant to protect the marginalised communities from abuse and discrimination. This was necessary, the court had said, to prevent the rampant misuse of the tough provisions of the law.